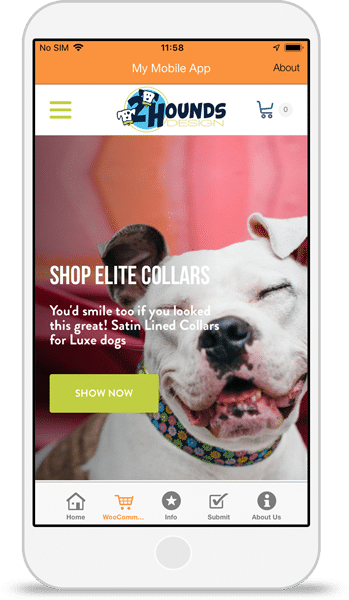 Add your Woo Commerce store to your app and provide a seamless shoping experience for your customers. The E-commerce app template comes ready with all the features you’ll need for your app. We use your existing Facebook Page and Website to pull information and branding automatically into your app. Connect your store using our easy integration — all without writing a single line of code. Launch your Woo Commerce Store app in minutes with our easy publish wizard.